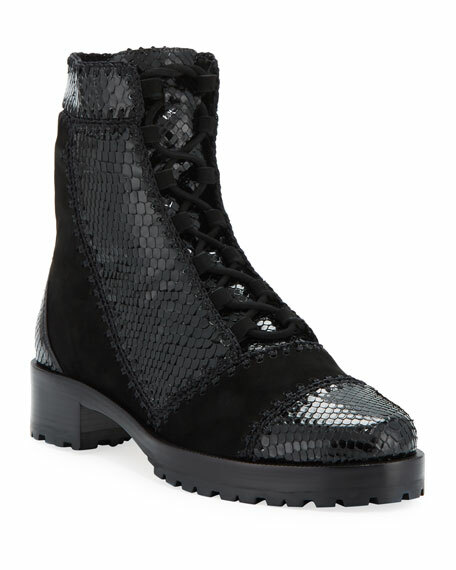 Black suede calfskin and mesh. 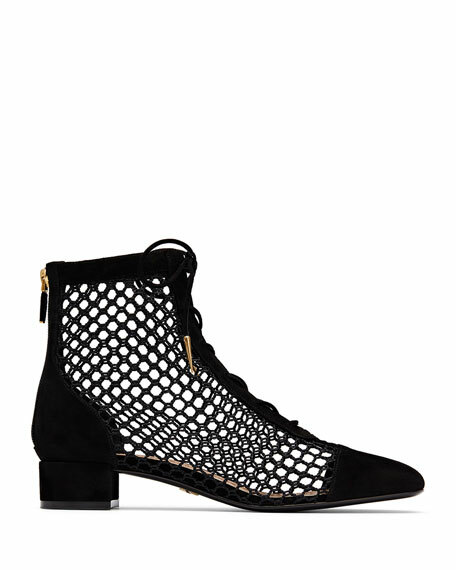 Black leather laces with gold-tone metallic tips. Leather sole with star accessory, one of Christian Dior's favorite symbols. For in-store inquiries, use sku #2519604. 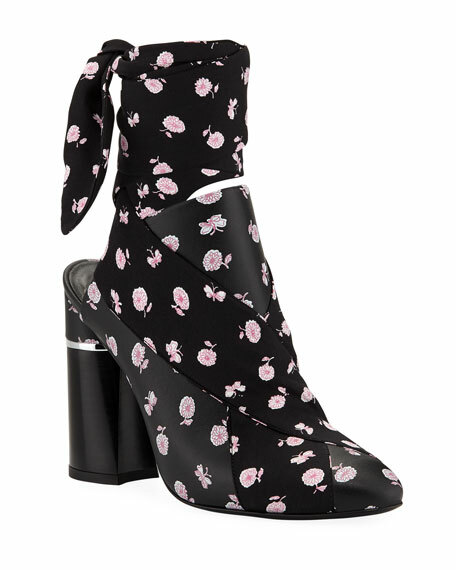 3.1 Phillip Lim satin and leather mule in floral print. 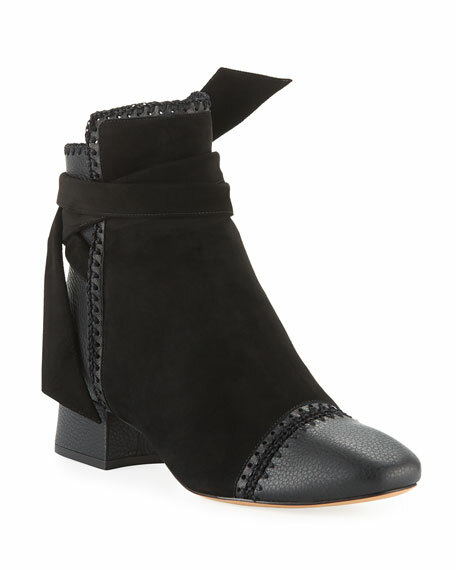 4.3" stacked heel with metal trim. Round toe. Scarf ankle tie. Leather lining. Smooth outsole. Made in Italy.